and would have the output of this. Meanwhile, when MyCode is presented with the div style code above, it instead comes out like this. As you can see, the code is broken. 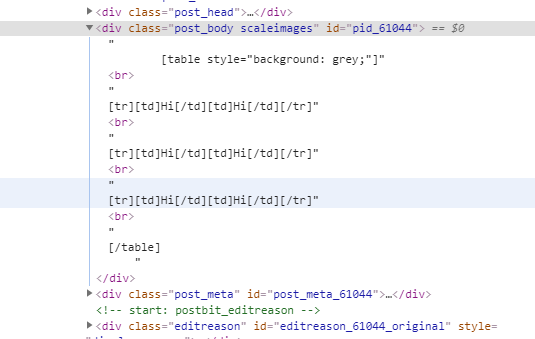 One problem is that any mention of an image or a background seems to break the code, along with having another div style nested within another one. But MyBB instead has this output. Now how would I do this with MyCode or is there a plugin that could provide me this convenience? Any help would be appreciated. This is one thing I really need for my site and it's really starting to frustrate me. Is something not parsing correctly? 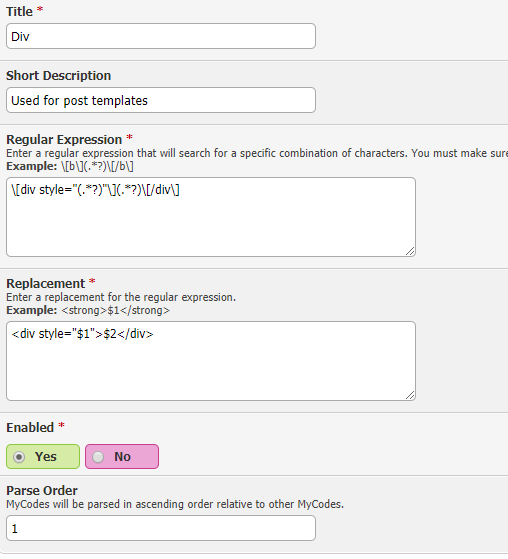 Using one example from above, what have you put in the regular expression for your mycode and what have you put in the replacement? 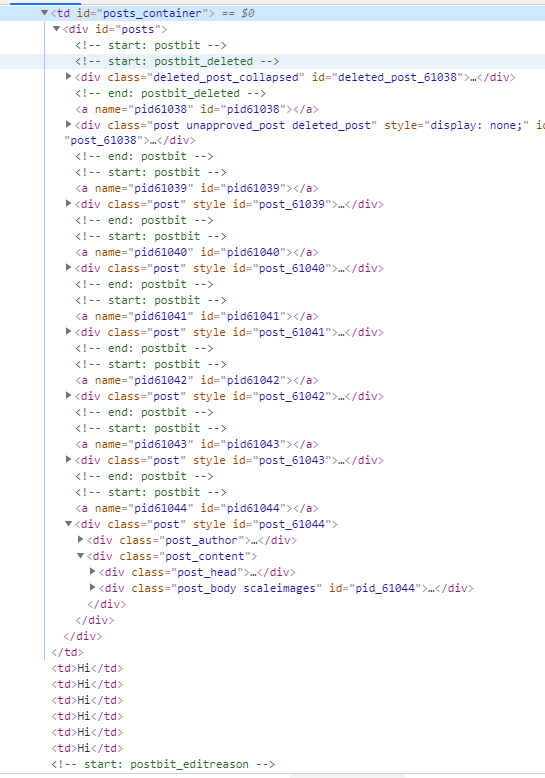 And to ensure I know what you're expecting, do users only need to input their post? So there's no custom background images or anything like that? 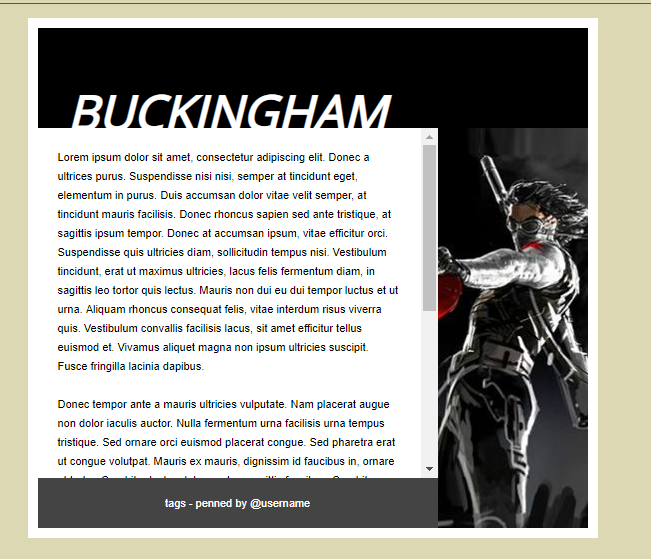 Or do you want them to be able to put in a custom background image and text? Here is what I use for MyCode expressions! 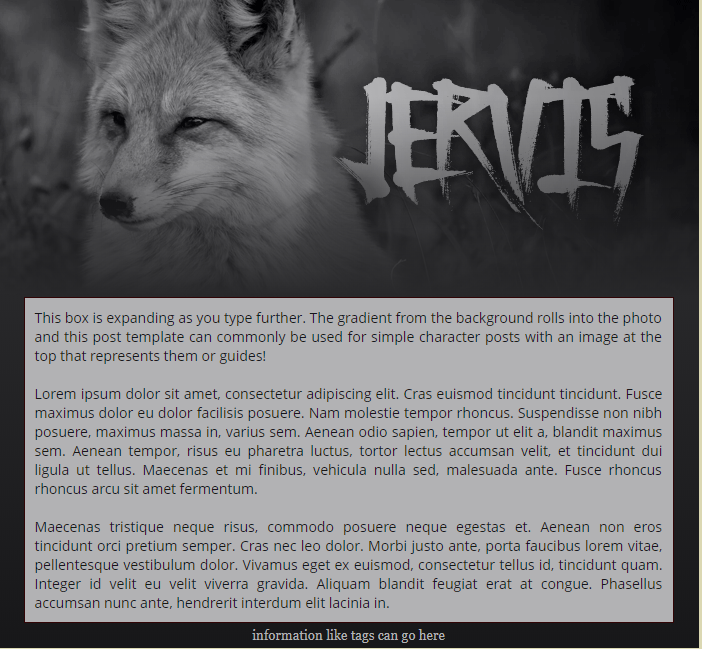 Custom background images and nesting seem to be what's messing up the code honestly, as it wants to parse the first [/div] from what I can tell. Thanks for the extra info! I'll test on my test forum in a bit. In the meantime, can you provide a link to one post where this isn't working properly? Proof of it working here! For nesting mycodes, I believe you need a plugin. This one in particular. Another one w/ a few more complexities... Here is one with four images. Again, some div codes to split things up and to provide info for the four td codes. And finally, the big daddy. This is it's output. So what I'm basically asking is how can I do this with MyCode successfully? You don't need tables to do any of this! That will handle two columns for users with minimal input from them. With a div style, you can do practically anything. 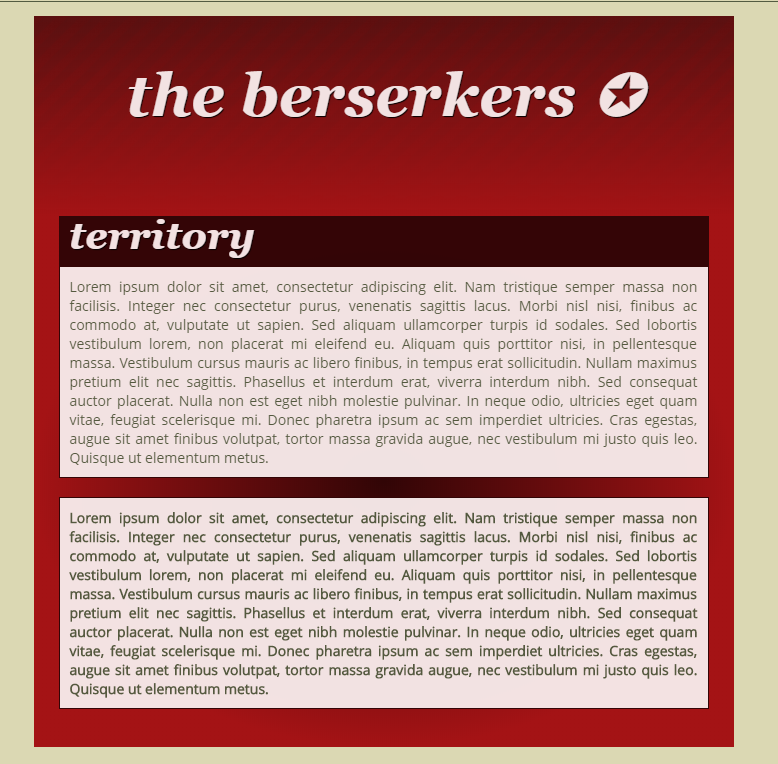 Example, only using div style. Making sure everything can be nested. 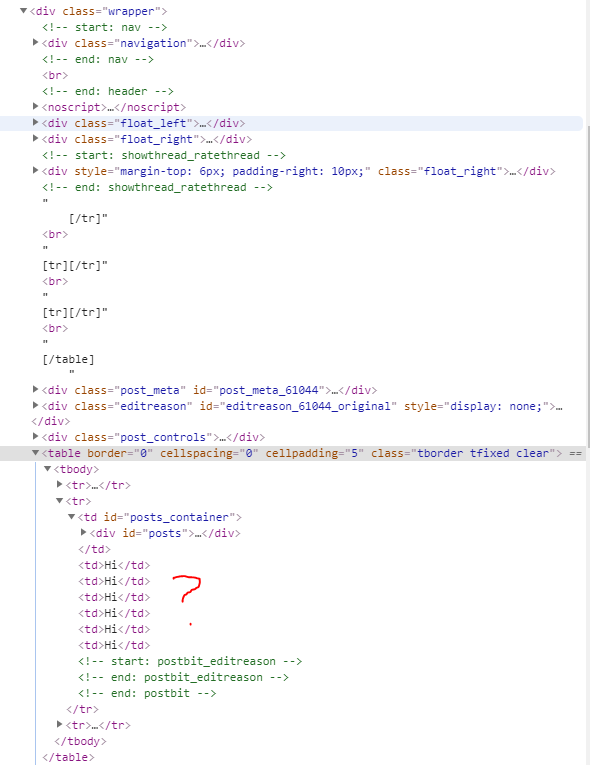 If any of those codes don't work properly, do an inspect element on your test posts and make sure that there has been no entities copied over. This is what I mean. If that has happened to you, just type it out yourself. Awesome! Works swell. ❤️ Two column and one line would make things a lot easier honestly! Especially with newer users... And they work with flex and responsiveness which is EVEN BETTER. Thank you! I knew it worked without tables myself, but a lot of my members have already grown accustomed to using tables (rip, I'll sadly admit that I have grown to use them too on occasion). With a lot of posts to transfer and to edit, I figured I'd ask, as it'd definitely make our switch over easier. So when it comes to tables, I found that for some reason the table data likes to hang outside of the post container, separate itself,and become blank space on the side. This does the same thing on all of the themes I have installed. Even the table/tr likes to! Might be a deeper problem... Any knowledge on that? I need to see where this happening to hazard a guess! Sorry! It's fine for me. This is what it looks like with the YourCode deactivated. As you can see, it should belong within 'post_body scaleimages'. Here is what it looks like when it is activated. Another image to show where it cuts off. Switch it to the default theme and see if the issue persists. If it does not, its an error in your theme, something hasn't been opened or closed correctly. If it does persist, you should check your replacement code for any errors. You should also try typing out the code manually, not using copy and paste. As stated, I can not offer you any further help on this particular issue through screenshots. I need to inspect your code myself. Sorry! Oddly enough, the error persists on every theme I’ve used so far lol. Looks like I’ve got to continue digging! Probably something deeper than I thought. Time to be Sherlock! No worries! Happy to help. I just thought to add, if there's a plugin (like advanced account switcher) that has inserted a new block on every page, check that as well. I know that the account switcher is very heavily dependent on the rest of the header (& member welcome bit) remaining the same. It's often caused layout problems for me in the past. Definitely will take a peek then since we are using that!